Jeremy is desperate. Aelita points this out when her friend drags her along to explore the Hermitage yet again. Jeremy says he’s not desperate, but he thinks he’ll be able to find some more useful stuff for fighting XANA. Aelita is sceptical, because they have already searched the Hermitage quite a few times. At Kadic, Odd is also desperate: he can’t get Anais Fiquet to notice him. Aelita joins the Casanova, Ulrich and Yumi. She seems melancholic and talks about the photo Jeremy found. He’s working on deciphering the code by digitally enhancing the image. This gives Odd an idea: send one of his best photos to Anais to make her fall for him. He heads to Jeremy’s room. When he arrives, Jeremy has finished preparing a program based on the writing in the photo. He accepts to leave Odd with the computer so he can send the email, warning him to be careful with what he’s doing! And Jeremy had reason to worry: carried away by his romantic enthusiasm, Odd sends the wrong photo to the wrong person! When she receives the email, she doesn’t really understand but something intrigues her: she seems to recognise Franz Hopper. Doubtful, she shows the photo to her father. He doesn’t understand at all. He explains to Sissi that Franz Hopper was a science teacher at Kadic. He disappeared without warning and was replaced by Suzanne Hertz, more than a decade ago. The principal then asks himself how Aelita knew Franz Hopper, more so as they seem very close in the photo. He then asks Jim to bring Aelita to him, as well as the person who sent the photo, Odd. Before being taken in, the heroes are walking under the arches. Odd takes great care not to reveal anything about his mistake, while Jeremy explains the use of the program crafted from the photo: it can be used to reset the Supercomputer. Odd then confesses! He doesn’t have time to be punished by his friends as Jim arrives and orders all five of them to go to the principal’s office. The man asks Aelita questions about her identity, asking if she really is Aelita Stones, a Canadian come to study in France. Aelita reaffirms her fake identity, but the principal doesn’t seem convinced, even when Jeremy explains that if the little girl in the old photo, around age 12 to 14, was really Aelita, she would be around age 24 now. The principal ends up confining the heroes to the library under Jim’s supervision until he has sorted out this whole identity affair. The bad luck intensifies: a tower is activated in the Forest. At the moment when the Canadian ambassador confirms to Mr Delmas that Aelita isn’t on their register, the principal is XANAfied. He calls Aelita to ask her more questions. The girl doesn’t suspect a thing. Just before the principal closes the door, Jeremy sees XANA’s symbol flickering in his eyes. 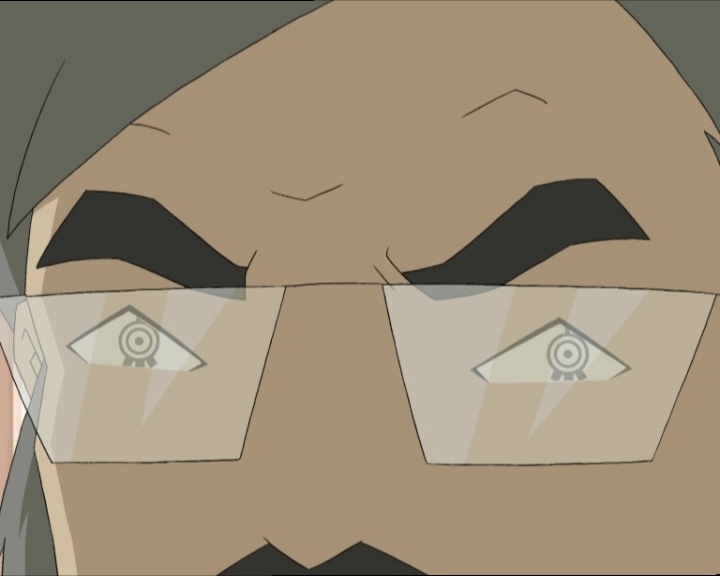 He warns Ulrich, Odd and Yumi and the teens leap from their chairs! But the principal has already left and Jim blocks the way, stopping the heroes from leaving. Forgetting all respect for authority, Jeremy, Odd, Ulrich and Yumi jump on their teacher and restrain him, using the teachings he gave them during a commando class! They then leave for the factory. The principal has gained much headway: he virtualises Aelita in the Forest Sector. He then takes the lift up to welcome the heroes on the ground floor! Following their tradition, the heroes separate. It’s Odd who chooses to stay to confront the principal! He innovates: rather than using lightning attacks, he launches into a martial arts match with him. In the lab, Jeremy finds out what happened and sends Ulrich and Yumi to the scanners. In the Forest, the Scyphozoa returns. It attacks its usual target: Aelita! She runs! Virtualised, Ulrich and Yumi can’t help their friend: Krabes appear. Although she defends herself better than usual, Aelita ends up being caught by the Scyphozoa, which resumes its old habit of implanting something in her brain! Jeremy panics, pushing Ulrich and Yumi to disentangle themselves from the two Krabes. 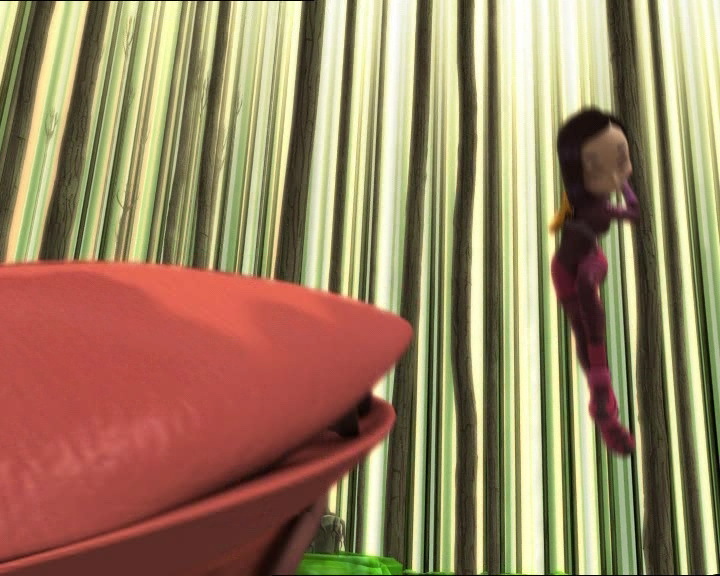 The Lyoko Warriors destroy one each and run to the Scyphozoa. They’re not fast enough: it releases Aelita and flees. Not knowing what is awaiting them, the heroes find themselves face-to-face with a XANAfied Aelita! To complicate things even more for our heroes, XANA mobilises two Tarantulas. Yumi leaves to take care of the spiders while Ulrich stays to confront Aelita and try to devirtualise her: the heroes have worked out that XANA infected Franz Hopper’s daughter with the Scyphozoa so that she would throw herself into the Digital Sea. On Earth, the situation is also getting more complicated: the principal has taken a metal sheet and thrown it with all his might towards Odd, who is having more and more trouble dodging! The fight in the virtual world is initiated. Yumi brilliantly dodges the constant laser fire from the Tarantulas! For Ulrich, the situation isn’t as good: as soon as he charges Aelita she snatches one of his sabres from his hands. The fight turns into a Star Wars-esque duel. The sabres shine in a deadly dance, however neither adversary holds an advantage: booster by XANA, Aelita is as skilled as Ulrich with a sabre! Jeremy changes his orders for Ulrich: no matter what, he must not devirtualise Aelita; if she doesn’t deactivate the tower, Odd will be killed by Mr Delmas! Aelita doesn’t seem too willing to deactivate the tower… Even though Yumi manages to destroy one of two Tarantulas, everything seems to hang in the balance. In the lab, Jeremy then has an idea: he’ll start everything from zero. He gets out his restarting program! He doesn’t know what the exact ramifications the program will have, but he hopes that it will de-XANAfy Aelita! Warning his friends, he inserts the CD and launches the procedure. 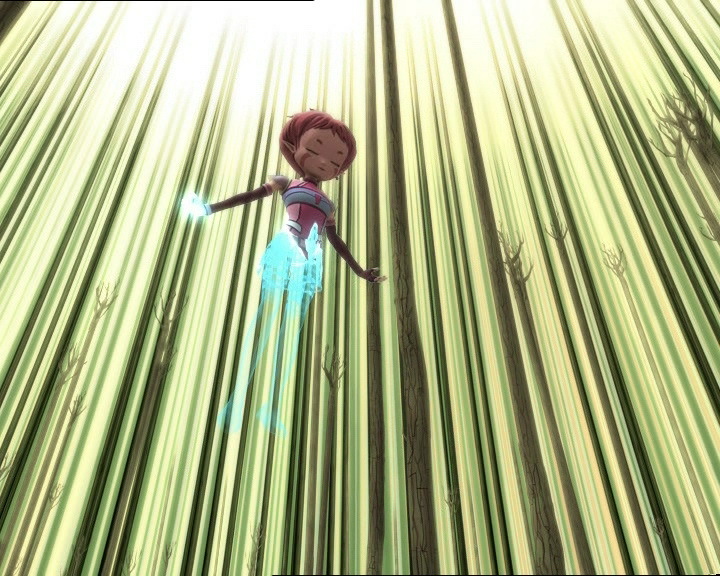 A powerful wave of energy spreads over Lyoko at the same moment when XANA-Aelita is about to deliver the coup de grâce to Ulrich. She collapses after the wave passes. Aelita is completely limp from fatigue, so the heroes drive her to the tower. Yumi is devirtualised by a well-aimed laser from a Tarantula. Once Aelita is inside, Ulrich parries the spider’s shots and performs a final mockery of XANA’s monster before also being hit by it and returned to Earth. Aelita deactivates the tower as usual, just in time to save Odd, and Jeremy launches the traditional Return to the Past. Once back in time, Aelita assures her friends that Delmas could never recognise her, nor find any trace of her through her father’s surname! 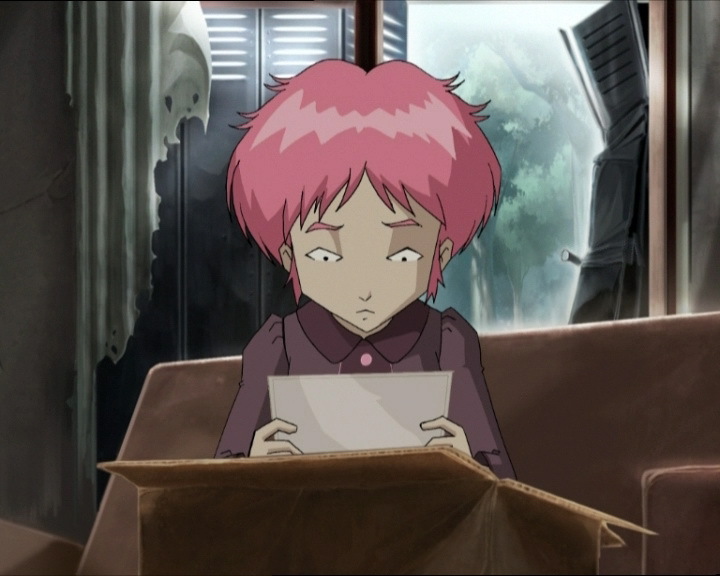 Effectively, Aelita was home schooled via correspondence. Plus, when they were living at the Hermitage, Franz Hopper changed his identity: Franz was his middle name and Hopper his wife’s maiden name. As for Aelita, she also took her mother’s maiden name. Aelita and Franz’ real surname is a name that sounds familiar to us, as it is seen in the series closing credits: Schaeffer. Jeremy knew this all along and reminds us that for everyone, now and forever, Aelita is Aelita Stones. 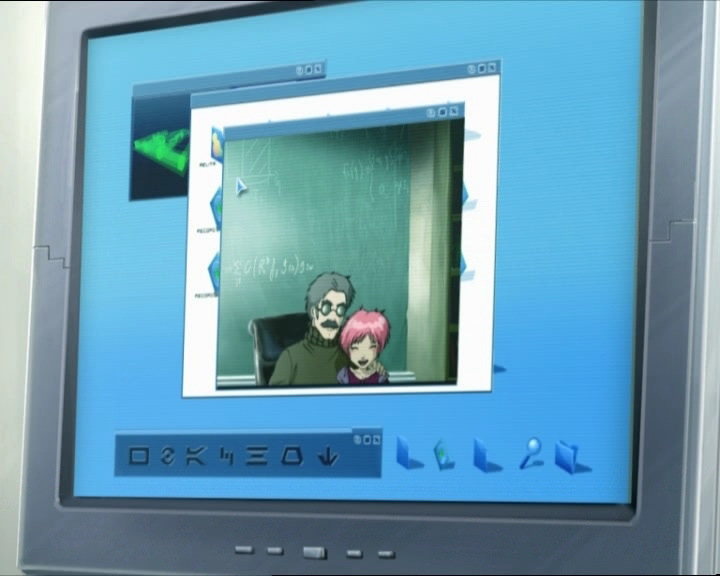 Before going to class, Aelita casts a fond look at the photo of her and her father. 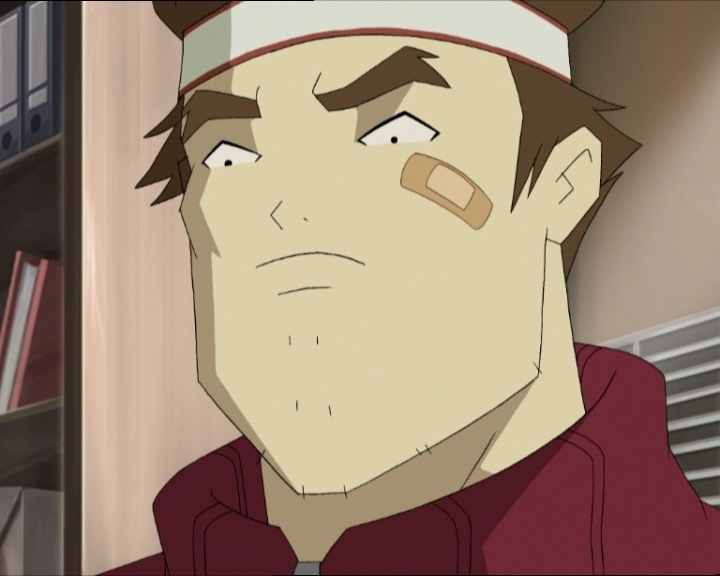 - Attack: XANAfy the principal to kidnap Aelita and bring her to Lyoko. - Aelita's real name is Aelita Schaeffer, Schaeffer being her father's real surname! Hopper is the girl's mother's maiden name, which Franz took in order to change their identities. We also learn that Franz Hopper goes by his middle name. His real first name is the one that appears in the ending credits: Waldo! - Aelita's mother's name is Anthea Hopper. - First mention of the name Anthea, Aelita's mother. - Third season 4 episode in which William is absent. - Franz had Aelita schooled via correspondence. - Aelita had never been to Kadic before going to Lyoko with her father. - Sissi (very young) had already seen Franz Hopper before he virtualised himself with Aelita. - In this episode, Odd has a crush on Anais Fiquet and says she's the prettiest girl in school. 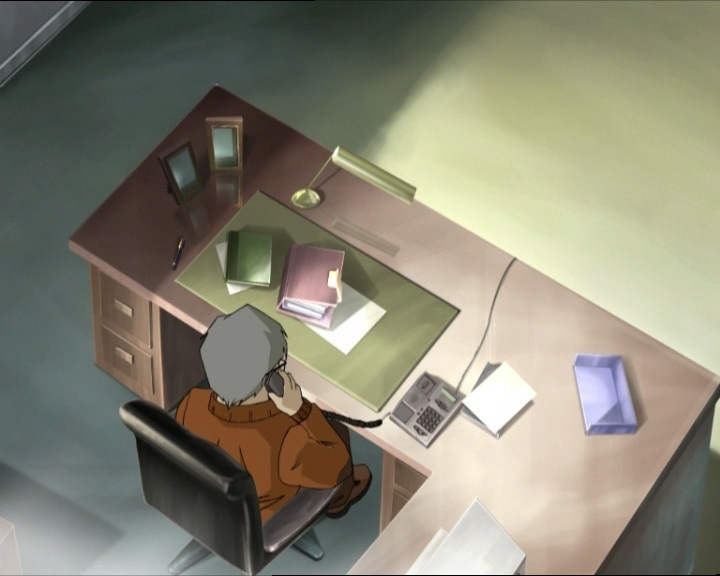 - The principal hired Franz Hopper as a science teacher, after his disappearance he was replaced by Suzanne Hertz. Jean-Pierre never knew Aelita before she returned to Earth. - Jeremy's bag disappears from his back in one scene. - The door to Sissi's room is red instead of grey. - The location of the principal's office is inversed when Jim says “wonderful”. - The factory microphone disappears from Jeremy's left ear when he thinks that he has to start all over again. - Jeremy tells the principal that Franz was a teacher at Kadic 9 years ago, he should've said 13, and that Aelita would be 22 and not 13, while he should've said 26. - When the Scyphozoa is taking Aelita's memory, the window on Jeremy's screen showing Aelita's memory level displays her season 1-3 outfit instead of her current one. - Discovery of the photo of Aelita and Franz before they left for Lyoko. - Once again, a XANAfied person (this time Aelita) steals one of Ulrich's sabres and it turns red. - Final appearance of the Scyphozoa. - Second time the principal is XANAfied. - Only time the Supercomputer is rebooted. - Jim reads the same comic as in episode 5 “Big Bug”. - XANA-Aelita blocks Ulrich's sabre with her hands exactly like how Ulrich's polymorphic clone does in episode 51 “Revelation”. 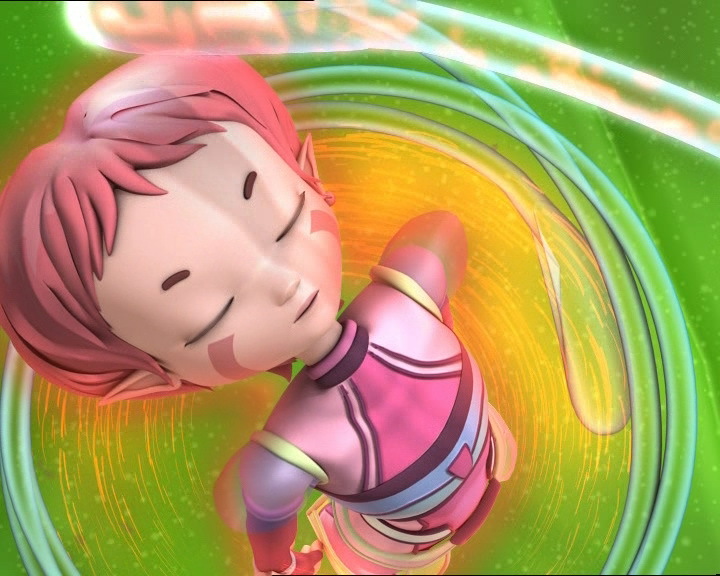 Aelita alludes to episodes 28 “Unchartered Territory”, 31 “Mister Puck” and 70 “Skidbladnir” when they found more important information on how to fight XANA. 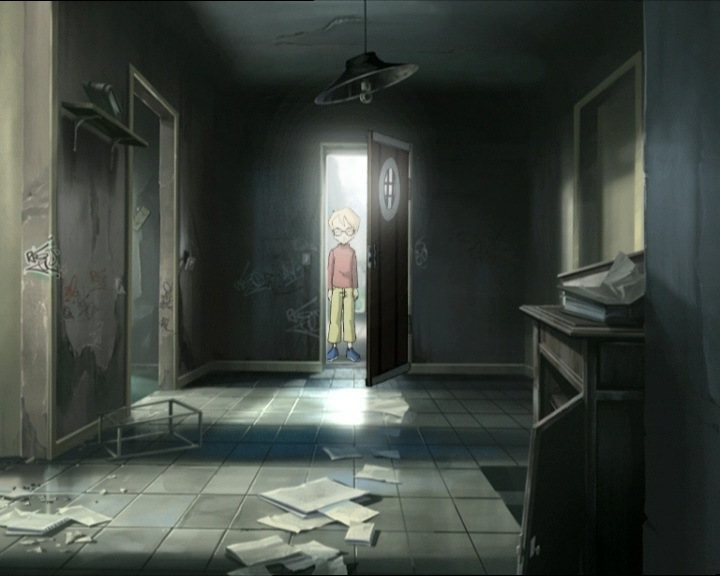 Allusion to episode 31 “Mister Puck” when our heroes found a key in the doll that opened a train station locker and found a suitcase containing Franz Hopper's journal on 13 CDs. Jackie Chan is a famous actor and film director. He's known for his Kung-Fu choreography (which Odd alludes to) and for singing in films! Aelita: Are you sure we’ll find something useful in my father’s house? We’ve already got everything that seemed important. Jeremy: We left everything behind that we thought was useless, and that was our mistake. We did find Franz Hopper’s notes thanks to your little Mister Puck! Jeremy: Aelita, have you found anything yet? Yumi: Odd, you only took two rounds of seconds, are you sick? Ulrich: Is this about Anais Fiquet by any chance? Odd: Incredible, I can’t get her to notice me whatever I do! Ulrich: You could grow a few inches! Odd: You wanna try wearing today’s lunch?! Ulrich: If you ask me, you’d be better off sending a picture of Kiwi, she loves little dogs! Yumi: How do you know that? Sissi (looking at the photo of Aelita and her father): Hm…that guy…I’m sure I’ve seen him before…! Principal (looking at the photo): I cannot believe this! I had no idea that Franz Hopper had family connections with Aelita Stones. Sissi: And who is this uh, Franz Hopper guy? Principal: A former teacher here at Kadic who disappeared one day without a trace. Suzanne Hertz took his place, you were much too young at the time to know anything about it. Sissi: Not really. Otherwise I wouldn’t have brought you the picture! Principal: Hm…and where did this photo come from? Sissi: It was in an email that I just got today from Odd Della Robbia. Principal: Della Robbia? Isn’t he Aelita’s cousin? So then he’s related to Franz Hopper too, very interesting. I think I had better call the two of them in here for an explanation! Odd: So I guess the picture’s not so top secret after all? Jeremy: No, but we’d better keep it a secret. 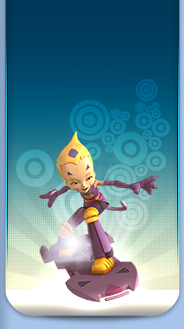 I wouldn’t want a picture of Aelita with her father to fall into the wrong hands! Odd: Uh…y-you mean like Sissi’s hands? Aelita: Oh no, Odd, you couldn’t have! Jim: I’ve had a whole lot tougher nuts to crack than you! So, last name, first name, occupation! Aelita: Well um…Stones, Aelita, um…uh, girl? Jim: Huh, you think I’m an idiot, don’t you, huh?! Principal: Calm down, Jim, there’s no need for the third degree. I’ve just a few questions to ask, that’s all. Principal: What intrigues me about this photograph is the presence of Franz Hopper and Aelita Stones, and they seem to be very close too. And so the obvious question is whether your name is really Aelita Stones. Aelita: Yes sir, Aelita Stones is my real name. I’m the daughter of uh…Franz, uh…and Anthea Stones! Principal: And are you really Canadian? Principal: And are you really an orphan? Principal: And is Odd Della Robbia really your cousin? Jeremy: With your permission, mister Delmas, on the photo, Aelita looks about 12 or 13. Principal: Yes, and what of it? Jeremy: Well you said that Franz Hopper taught here at Kadic about nine years ago? So if that’s really Aelita in the picture, she would be 22 years old now and not 13, but as you can see, Aelita is 13 years old, and not 22. So that can’t be Aelita in the photo! We can thus conclude that Aelita is not related to Franz Hopper, that she is telling the truth about being Canadian, an orphan, and the fact that she really is Odd’s cousin! Principal (sceptical): Hm…very interesting. So then, while I’m checking out this identity business, you’re all confined to the library for the rest of the day, under Jim’s supervision. Principal (on the phone): I see… So then the Canadian consulate has no record whatsoever of an Aelita Stones in its birth records? Yes, I’ll definitely keep you informed. Thank you, uh, goodbye. Ulrich (not having seen the Scyphozoa since season 3): Ugh! I forgot how ugly it was! Yumi: I thought you liked seafood! Ulrich: Not the nasty type! Ready to go? Ulrich: I don’t like jellyfish, or shellfish! 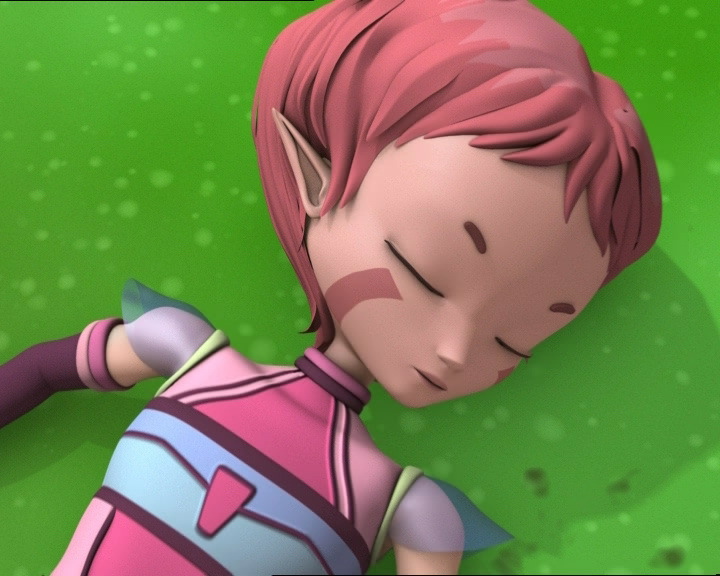 Yumi: Aelita, are you ok? Jeremy: Ulrich, stop everything. And whatever you do, don’t devirtualise Aelita! Ulrich: Don’t worry, I wasn’t even close! What’s up? Jeremy: Odd’s getting walloped by Delmas. We have to get Aelita to deactivate the tower! Ulrich: Yeah, why don’t you just ask her? I’m sure she’d be happy to accommodate! 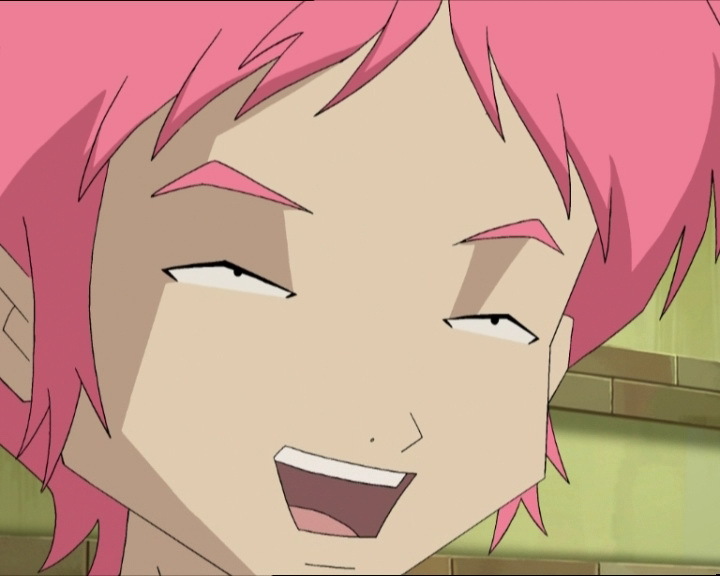 Jeremy: Oh, I don’t know what to tell you, either we lose Aelita or we lose Odd! Aelita: No, Delmas couldn’t possibly know me. My father may have been a teacher here, but I studied at home, so I never attended Kadic! Yumi: So no chance of finding Aelita Hopper. Aelita: No, none. Especially since my real name isn’t Hopper! Aelita: Schaeffer is my real name! When we moved to the Hermitage my father wanted to make a brand new start. Franz was his middle name, Hopper’s my mother’s maiden name! Odd: Aelita Schaeffer? That is really incredible! You knew that, Einstein? Jeremy: Yeah, but it makes no difference! As far as everyone’s concerned, Aelita’s name is now and forever Aelita Stones! 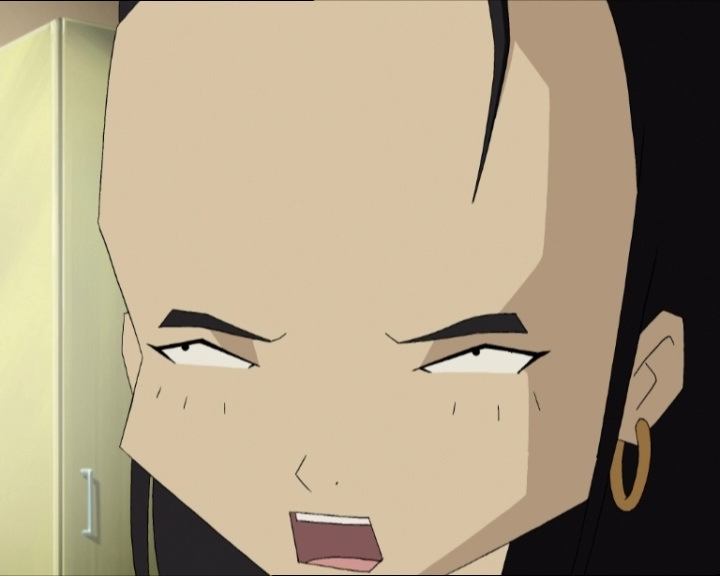 Yumi: Time for class, Lyoko Warriors!